We’ll supply and install all types of gate openers for swing and sliding gates. Everything happens in-house too, from quote to build and fabrication, we’re your one-stop-shop. If your property or commercial site is irregular, tricky, lacking in space, hard to reach or perhaps you have a very specific idea in mind, then we’re happy to talk to you. Essentially, if you can dream it, we can build it. If you want to fit a car onto a roller, we’re up for it. We’ll come out and take a look at the site and discuss idea with you about the best solution for your situation. Our range of materials covers wood, steel, aluminum and stainless steel. Our gates are solar powered as well, which saves you energy costs. We can also provide larger commercial motors reserved for larger, heavier for your custom solution. 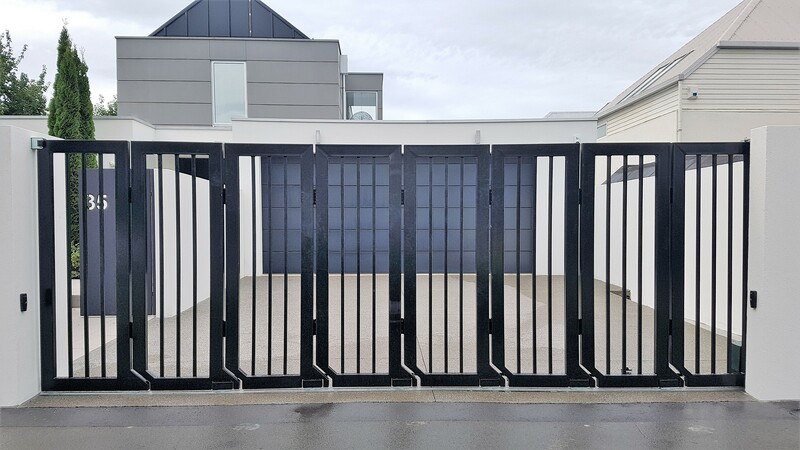 Our range of safety devices and alternative opening methods allows us to have automatic gates on sloped ground as well as flat-level. We partner with Certified and General Welding for our welding and engineering services to ensure your custom solution is strong, secure and of the highest quality. We stand by the excellence of our work and keep up with the latest gate automation technology. We price ourselves rather competitively and won’t be beaten on any genuine local quote or price of comparable materials. Although we can’t estimate a range on a custom project due to its very nature, the average quote range we’ve given for custom solutions so far is $4,000 – $8,000.